The position of women in Austrian society, politics, and in the economy follows the familiar trajectory of Western societies. They were expected to accept their "proper place" in a male patriarchal world. Achieving equality in all spheres of life was a long struggle that is still not completed in spite of many advances. 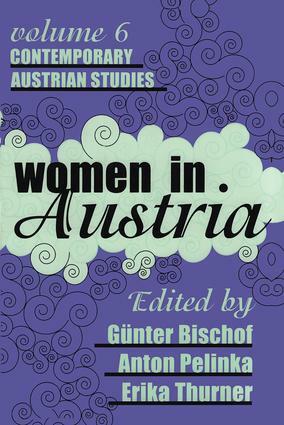 The chapters in Women in Austria attest to the growing interest and vibrancy in the area of women's studies in Austria and present a cross-section of new research in this field to an international audience. The volume includes with book reviews on Austrian business history, the Waldheim memoirs, Jews in postwar Austria, and political scandals in twentieth-century Austria. Women in Austria covers a plethora of significant social issues and will be essential to the work of women's studies scholars, sociologists, historians, and Austrian area specialists.